Omega Psi Phi Frat., Inc. Welcome to the Mighty OX Website! 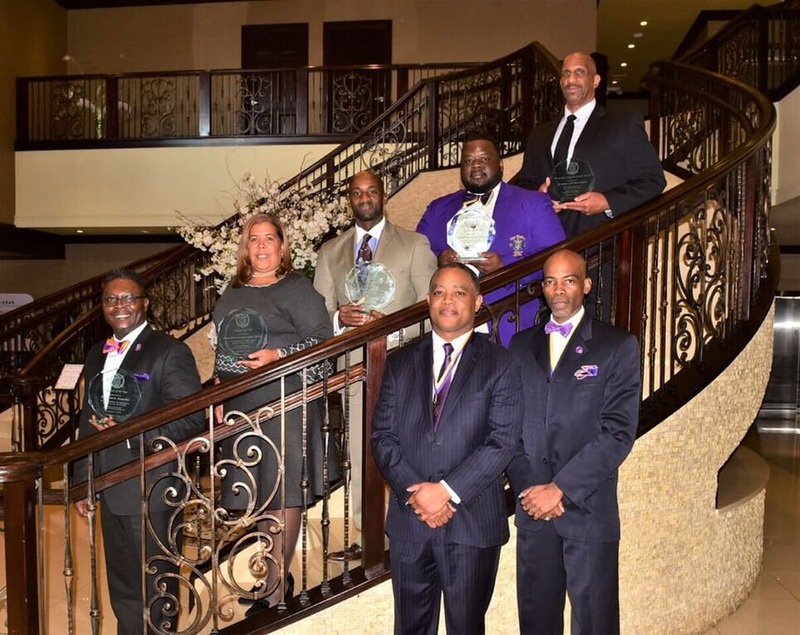 Top row: From left to right find the 2018 Uplift Award Honorees Dr. Frank Assante, Assemblywoman Linda Carter, Dr. Demond Hargrove stand-in for Union County College President Dr. Margaret McMenamin, OX Omega Man of the Year" Brother Richard Wyatt, "Superior Service Award" Honoree Brother Jeffrey Blanchard. Front row: Basileus Michael Smith and Immediate Past Basileus Leon Smith II. Not pictured: "Founders Award" Honoree Brother Charles Booker. 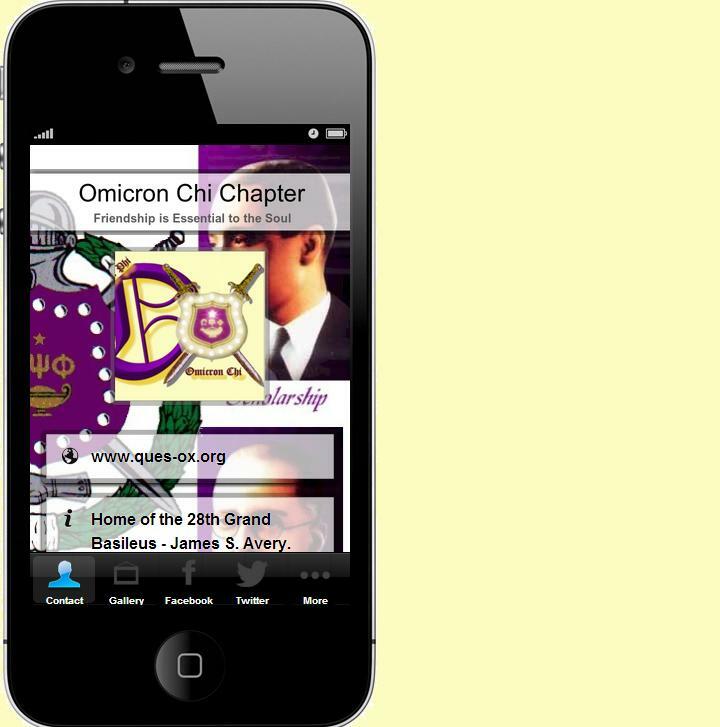 On behalf of the Brothers of Omicron Chi Chapter of Omega Psi Phi Fraternity, Incorporated, welcome to our website. With a legacy established by generations of great men not the least of which being its first initiate – the 28th Grand Basileus Brother James S. Avery Jr., since January 1955 our Chapter Brothers have been working together to serve the best interests of Plainfield, NJ and the surrounding communities. - Maintaining a solid infrastructure to sustain this great organization for decades to come. In collaboration with our 501c3 partners – Four Pillars Foundation – we co-host our Health Fair, Scholarship Ball, and Golf outing which benefit High School seniors attending four-year colleges and universities. Recent honorees have attended such schools as MIT, Stanford, University of Chicago and others of the nation’s top institution. We look forward to your continued support of our calendar of events including the MLK Birthday Celebration at Plainfield’s Emerson School (January 19, 2019), our FunnyBone Comedy Show (April 5, 2019) and the James S. Avery Scholarship Ball (May 18, 2019). For our fraternity Brothers visiting or new to the area, we extend a warm Omega welcome! We encourage you to come and visit and consider The Mighty OX as your new Omega home! and print out the application. 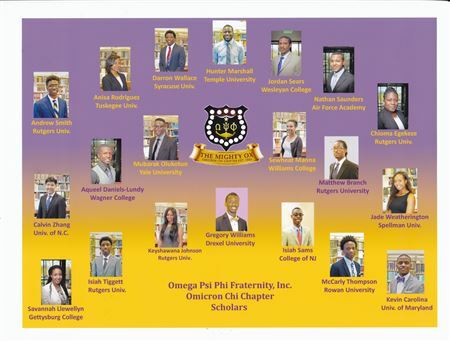 Each year Omega Psi Fraternity, Inc. awards scholarships to deserving and aspiring students nationally. 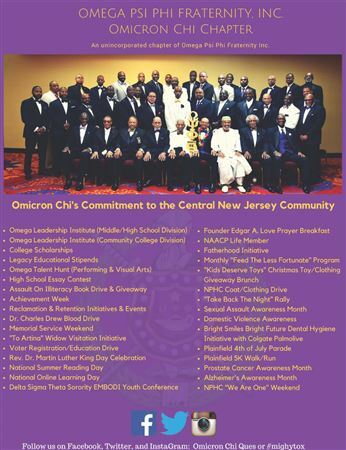 Omicron Chi Chapter of Plainfield, NJ provides scholarship opportunities to outstanding High School Graduating Seniors at the local level throughout Union, Middlesex and Somerset Counties. Other social action initiatives include, Feed the Less Fortunate at the Plainfield YMCA, Martin Luther King, Jr. Celebration and Assault on Illiteracy, Dr. Charles S. Drew Sickle Cell Blood Drive, South Second Street Mentoring Programs, Talent Hunt Program, Domestic Violence Awareness, Omega Leadership Institute, and Christmas Toys for Tots. 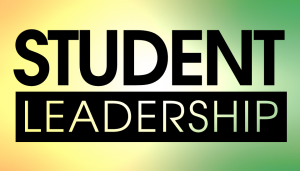 Our mandate is to serve the needs of the greater Plainfield community wherever and whenever we are able. This page is exclusively reserved for members of the fraternity and not prospective members. In sum, this is for Men of Omega and not those seeking entrance into Omega. Take a look at Reclamation Letter for more information about our Reclamation Program. 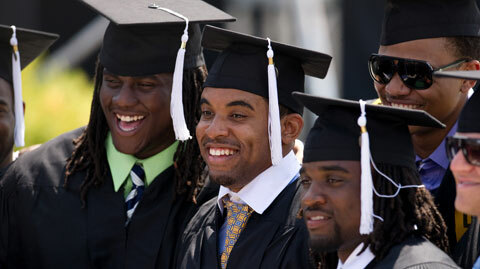 "Behold, how good and how pleasant it is for brothers to dwell together in unity."